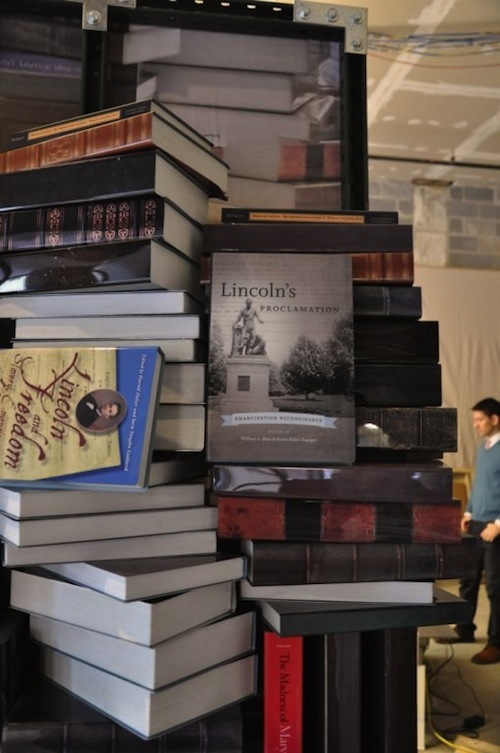 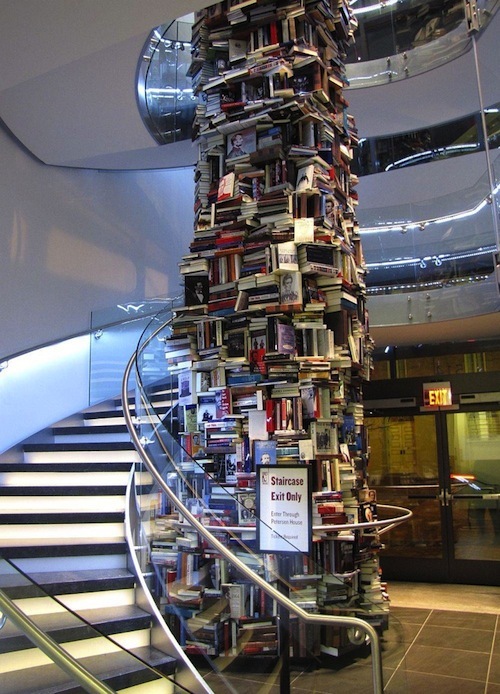 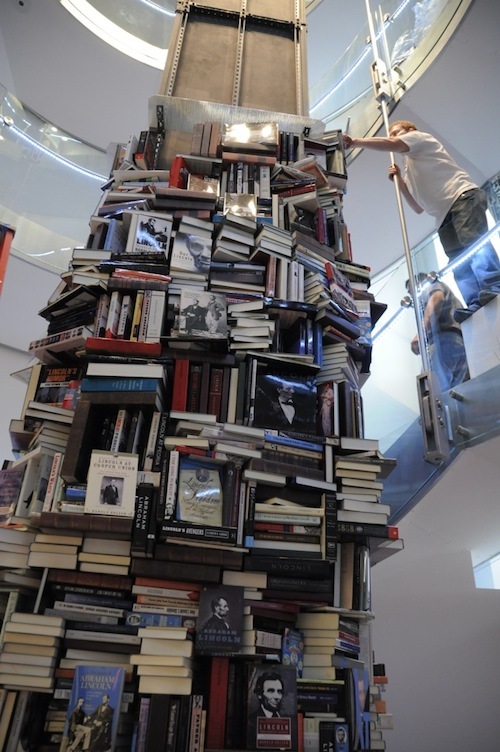 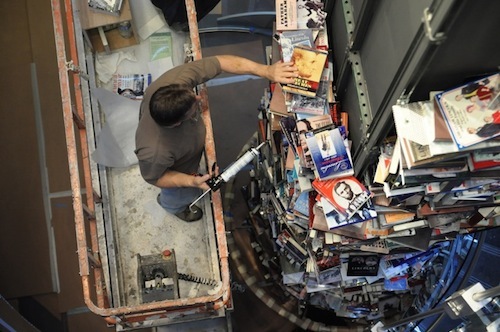 A three-storey scuplture made entirely out of 15, 000 books on Abraham Lincoln have been erected at the Ford’s Theatre Centre for Education and Leadership in Washington. 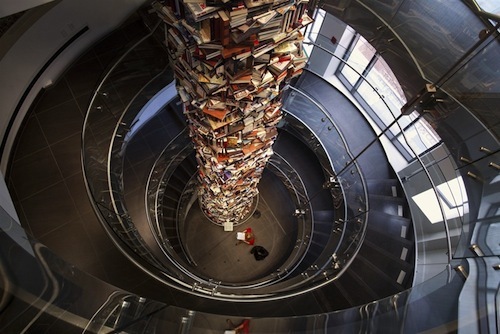 The ‘tower of books’—built to commemorate the former President of the United States—sits inside the new museum located next door to the house where Lincoln died. 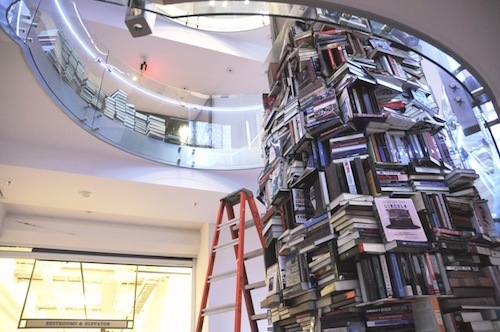 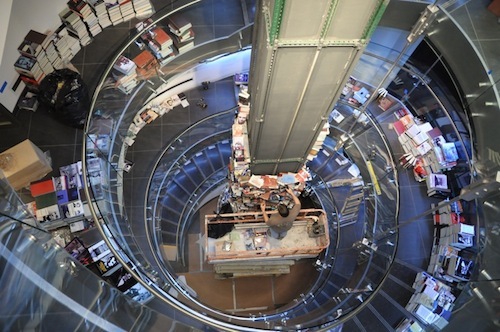 The cylindrical structure is aimed at symbolizing the endless literature on Lincoln. 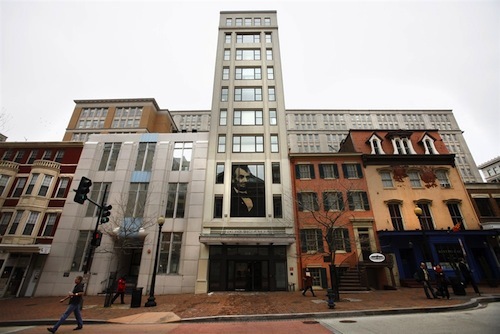 The museum is set to open in time for President’s Day on Monday, February 20.